Large Natural Tin Ridged Ceiling Plate 6" Dia. 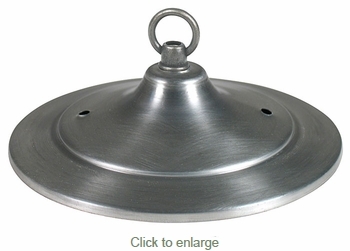 Our natural tin ceiling plates add the finishing touch for your hanging star or other hanging light fixture. Our metal ceiling plates are authentic creations handmade by artisans in Mexico.